As I often say in true Benedictine tradition, we must always seek balance. So here is an interesting take on the Sacred Scriptures..
Almighty and gracious God, we come to You with our hearts full of prayers both spoken and those that cannot be put into words. As the ancient psalmist wrote You are our refuge and strength, the light in the darkness, and so with confidence we offer our prayers to You for those States and Cities still suffering from the wounds and destruction of a year ago. Gather us under Your wings, calm our fears and keep our faith strong. We pray for those who grieve the loss of family, friends, neighbors, their towns and cities, and for those who still suffer from injuries. We ask for your comfort for those separated and living apart from their family, and we ask for Your continued healing presence in their lives and communites. We commend to Your loving care all those who have died. We ask Your blessing on all those who are involved in rebuilding efforts and those caring for those scattered and still recreating their lives. Be with all the churches and people as they minister in Your name to Your people. Sustain them through this time of tremendous loss and stress. We commend to Your care those visitors who are working in debris removal and cleaning up, the missions from all over the country that come to help. We especially pray for those burdened by unimaginable losses and who have found themselves like refugees in their own country. May reconstruction and new life shine in the darkness of destruction. We pray for those far from their old homes, who feel homesick and far away from loved ones; those who are trying to stay in contact with parents, children, friends, and all who are worried and frustrated and long to embrace their families. Comfort families across the distance. I noticed today that a news story flashed around the web of the Blessed Virgin Mary appearing as a vision on the belly of a small turtle. Well this was so patently ridiculous that I made a big joke of it to some co-workers and some friends. But a post on a blog got me to thinking. Why do people need to see Jesus or the Blessed Mother on objects? (1) "Bar-tholomew" is a patronymic, meaning "son of Tolmai (or Talmai)." It is therefore likely that he had another name. "Nathanael son of Tolmai" seems more likely than "Nathanael also called James (or Simon)." Jesus nevertheless extended an astounding and unique welcome to (Nathanael) Bartholomew. Not one of the other Apostles did the Lord greet so warmly. As He saw Bartholomew coming, joyfully He could say, "'Behold a true Israelite in whom there is no guile. '" St. Augustine made the remark about this passage: "A great testimony! That which was said neither to Andrew nor to Peter nor to Philip was said of Nathanael." What moved him from doubt to faith in Christ? What does Bartholomew see in Jesus that causes the change? Can you imagine what it was like meeting Jesus face to face? What would He say to you, and how would you reply to Him? During this brief meeting with Bartholomew, Jesus told him that he would experience greater things than with this first meeting, and he certianly did, for he was one of those to whom Jesus appeared on the shore of the sea of Galilee after His resurrection. Interestingly enough, God's people in ancient times (the Hebrews) fought tenaciously to prevent any representation of the Invisible God. He was beyond all understanding and representation. 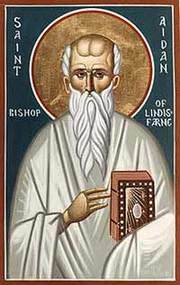 Only when God became Incarnate and permitted us to see His face in this world did we have any way of applying physicality to the Transcendent One. I have blogged about this before, and remain disappointed in the outcome. 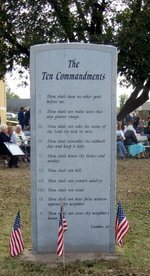 Seems just this week U.S. Judge White has ruled that Haskell County's Ten Commandments monument may stay on the courthouse lawn in Stigler, Oklahoma. I wonder if they fixed the misspelled Seventh Commandment, or perhaps no one is concerned enough to actually look at the engraved stone pillar. It is just an Oklahoma Idol, to be erected and ignored. Sigh. Symbols mean more than our lives. So easy, put up a pillar, then your done, forget the One Who cries, weeps and bleeds for the poor and downtrodden. According to data from the Barna Research Group, 60 percent of Americans can't name even five of the Ten Commandments. Five, that is just half. Does it somehow roll back the Fall to erect a stone pillar? Does sin reduce in counties protected by such a pillar? So, here we are. The modern people of God feels like we must erect stone pillars in direct contradiction to His word not to, and the witness we give to the world is that we care more about cold granite than we do about living right and reaching out our hands to serve those with wounded lives as the Christ Who served us with His wounded hands. I pray that we, rather than erecting cold, granite pillars could see the face of Christ in everyone we meet but most of all, I pray that that everyone we meet could see the Face of Christ in us. Today I was talking to a friend about ways of strengthening his prayer life, and I was wondering what other people did for their private prayers/worship/devotions. Does anyone out there use physical devotional aids? For example I say the Daily Office (a group of Scripture readings and prayers said 4 times a day), and during it, I often play Chants in the background or use my Thurifer to burn incense. Other times I might use my Chaplet, or I might use my complete Rosary. I also attend a Contemplative Prayer session at St. Joseph's Monastery. These are examples of prayer aids/tools I personally use. I also want to mention that we must not let songs, prayers or the words of Sacred Scripture become mere emptyness, and for me, part of involving the body/senses helps to prevent that. There is an old contemporary Christian song from some twenty or more years ago where the singer says something like "Light a candle and say a prayer, or jump a pew and sing Hallelujah, if your heart really isn't there, what good is it going to do ya?" I think that while there are times that we should be saying the prayers even if we don't feel like it, saying the prayers even if we don't connect on ALL levels, we should remember that song's phrasing and take it to heart. I wish I had a spiritual Director here in town, due to the nature of my Order, my Brother Director is some distance away, however my Priest is a wonderful man, and very helpful. † May you all be blessed with illumination of the uncreated light of the Son of God. With so much attention on Mary Magdalene these days, it is good to celebrate and remember the Feast of the Blessed Virgin and remember the woman Scripture calls "Blessed" for all generations. 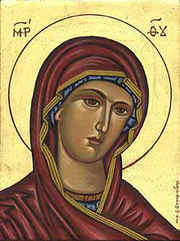 Son of Mary, Son of the living God, have mercy upon us, now, and at the hour of our death. Amen. The really wild thing is that these Churches are usually ones that pursue a literal or fundamentalist reading of the Bible. A few bold fellows point that logical flaw out, to their credit. Clearly the Bible permits the use of alcoholic beverages, that usage being blessed by none other than the Master Himself. Fortunately the ancient Churches never have bought into such foolishness, preferring our own ridiculous and myopic viewpoints. Even better over the centuries various Monasteries not only permitted the drinking of beer but, in fact made it and did quite well at it. You might take a look at what some of my Trappist Brothers brew, and if u like, they tell you how here. So, any locals want to lift a pint with me? Give me an email and we will bless the Lord and pass the Beer. I found this on the web, and felt like I wanted to pass it on. The following request comes from Tony Maalouf, Assistant Dean of the School of Evangelism and Missions, and Associate Professor of Missions at Southwestern Baptist Theological Seminary. Below is a communique from our Lebanese brothers and sisters that are diligently working in the midst of a great human tragedy to make a difference for Christ. Currently they are taking care of more than 1000 refugees and displaced people in the name of Christ. They are using both the facilities of the Arab Baptist Theological Seminary and the Beirut Baptist School. Both of them are ministries with big SBC heritage and IMB involvement. Please do pray for these needs and if you or your churches are led to contribute toward easing the pain and suffering of Lebanese civilians for His sake, send contributions to the address below designated LSESD/Lebanon Relief Fund. Fuel, water, medication and all humanitarian aid are urgently needed in Lebanon now as all roads/bridges, airports and seaports are cut, and Lebanon is isolated from the rest of the world. The UN is struggling to channel supplies through risky humanitarian corridors. Please pray for an end to this tragic situation in the Middle East. No sooner did we address the shortage of water supply at the Beirut Baptist School on Friday, this morning the artesian water well of the Arab Baptist Theological Seminary dried up (350m) and its pump broke down. We now have one alternative: to directly dig on campus another artesian well at 450m depth. The estimated cost of this emergent need is US$23,000.- We urgently appeal to friends and partners to help us address this urgent need knowing that we have on campus around 125 adults and 100 children.